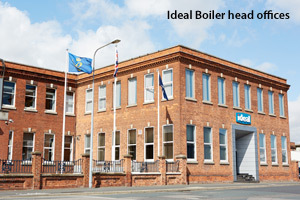 Ideal Boilers transform their manufacturing site and bring benefits to the business and the local environment. “The project has been underway since 2012 and is now entering its final clean-up phase. During that time, various strategic decisions were made, including the decision to close the foundry, removing its furnaces and chimneys and outsourcing that aspect of production. “This led to a necessity to consolidate production space, demolishing buildings that were no longer required, recycling materials and reusing the remaining space. “Such has been the success of the new products that employment levels within the business increased, as new production and clerical jobs were created to meet the increased demand. “It has been exciting to see the new site come together. Despite global increases in the cost of gas and electricity and the doubling of production, we have been able to cut our demand for gas, electricity and water by investing in energy-saving measures across the site, reducing our costs by 20%. “We are considering the installation of solar panels to generate electricity and provide hot water on site, further reducing our reliance on fossil fuels. “Throughout the rationalisation on-site, we have worked to reduce waste, for instance reclaiming and recycling bricks for use throughout the UK on new housing projects. “Taken as a whole the project has been cost neutral, and we will continue to reap the benefits for the foreseeable future. The reduction in the number of buildings means we have been able to reduce our rates bill. The reduction in energy consumption means we now have smaller carbon footprint and lower energy bills.